Simulations developed by the National Oceanic and Atmospheric Administration (NOAA) and researchers from the University of Colorado, Boulder, have shown that it will soon be economically feasible to collect energy from wind and solar sources, and then move that energy to virtually anywhere in the United States. Their mathematical models pinpointed the best locations to gather that energy, and then calculated the most efficient ways of transporting it to where it’s needed most. The details can now be found in Nature Climate Change. This will have a profound impact on US greenhouse gas emissions, and by extension global warming, since CO2 produced by electricity generation is a major contributor to climate change. In the new study, the researchers concluded that the US could cut greenhouse gas emissions from power production by up to 78 percent below 1990 levels, while still being able to meet increasing demand. Solar power is most consistent in the south, according to this latest study, while wind is most consistent in the midwest. The proposed strategy is that energy can be gathered in those prime locations—or any suitable location, for that matter—and transported through a high voltage transmission network, which the researchers liken to an interstate highway of electrical wires. NOAA weather data from 2012 shows the wind potential across the United States. Via Chris Clack/CIRES. NOAA solar irradiance data shows the solar energy potential of the United States. Via Chris Clack/CIRES. Furthermore, this transition can be accomplished by 2030. As costs continue to drop, renewable energy will eventually be the most economical approach, even when compared to other options, such as coal. 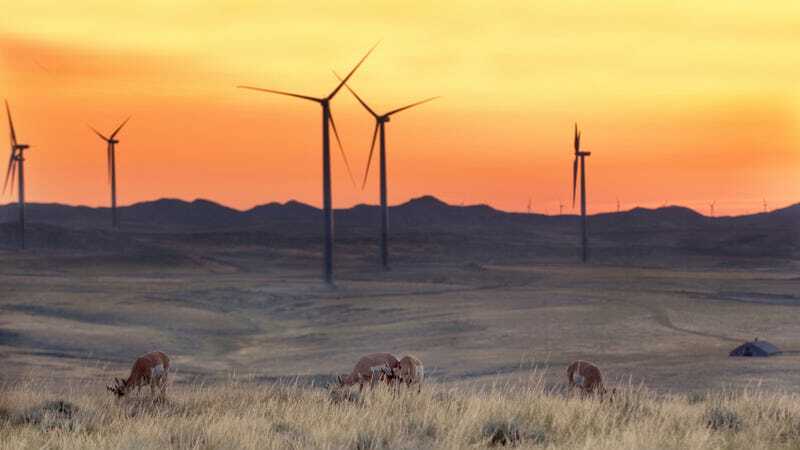 Even in scenarios where renewable energy costs exceeded current predictions, the models still produced a system that cut CO2 emissions 33 percent below 1990 levels by 2030, while delivering electricity at about 8.6 cents per kilowatt hour. For comparison, electricity cost 9.4 cent per kilowatt hour in 2012.